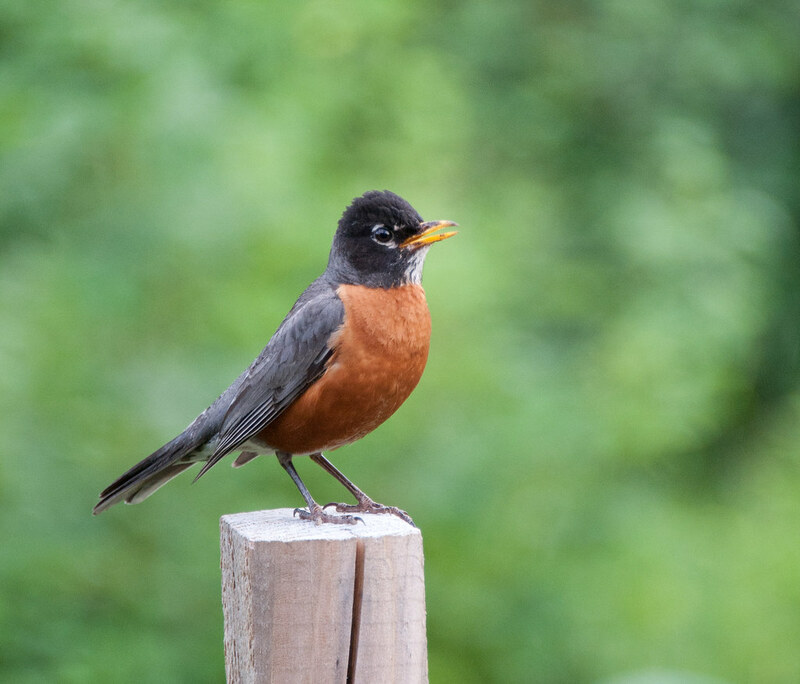 “What the Robin Knows”–a resource for teachers–and an idea. A couple of months ago I managed to get a copy of Jon Young’s, “What the Robin Knows”. At the time I was a bit intrigued and a bit skeptical at the same time. The sub-title: “How birds reveal the secrets of the natural world” seemed a bit overblown to my way of thinking. Despite my misgivings I purchased the book and was very pleasantly surprised. In fact, this book may be a game changer when it comes to trying to encourage the next generation to get more involved with the natural world–to meet the challenges outlined in Richard Loev’s books: Last Child in the Woods and The Nature Principle The book certainly has changed my focus and attention when I’m outside. The basic premise of the book is that by concentrating on the variety of calls from just a few strategically chosen common birds anyone can learn to listen to the language of birds in a way that allows for a greater awareness of all the goings on in a particular environment. Birds are constantly communicating with each other (even between species). We can listen in and interpret just what all the fuss is about. Alarm calls in particular provide a rich source of information. Young makes the claim that by taking time to regularly sit and listen in one spot over multiple days and times one can gradually develop an understanding of the meaning of various calls and behaviors that are part of everyday bird life. To help jump start the process he provides a structure for categorizing various calls and call types as well as behaviors. Over the years I have had ample time to assimilate these calls and they were all familiar but I had never thought to consider the different levels of alarm that each bird issues depending on the predator observed and location. These categories help to focus your observations and field notes as you spend your time at your sit spot. Young also makes shorthand suggestions to facilitate your note taking. 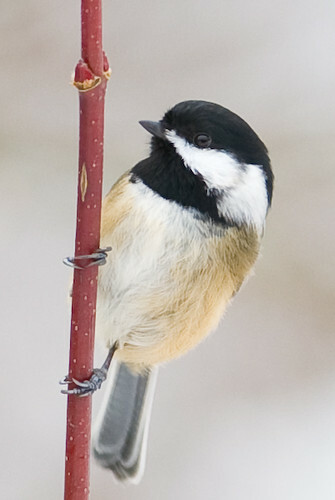 I can tell you that I cannot sit on my deck now without hearing the chickadee’s, the robin’s, the catbird’s and wren’s alarm calls and their “all things” are fine calls. 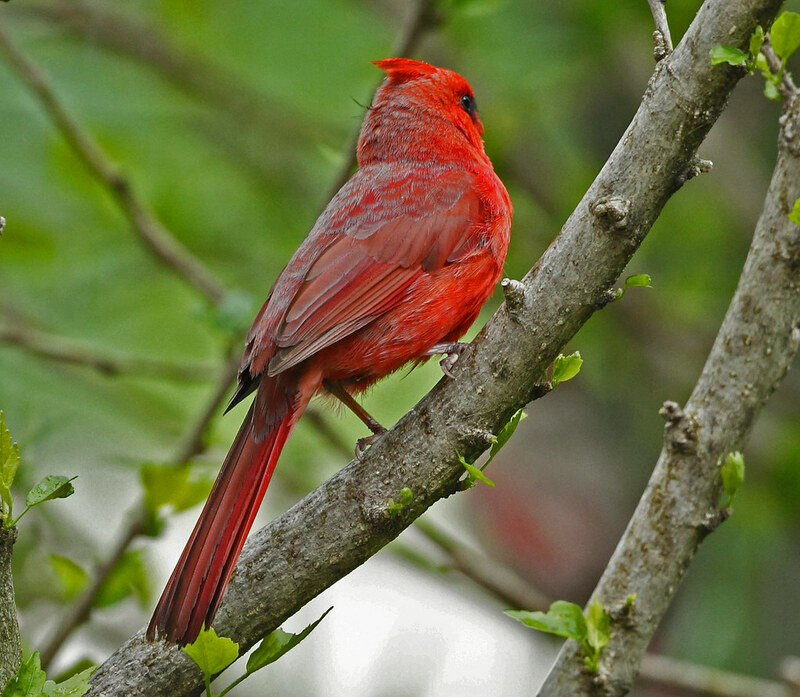 Young provides a web site that supports his book including the calls of several common birds. To test out how attractive learning this kind of skill might be for a youngster, I convinced my eldest grand daughter to sit with me for about 30-45 minutes on the front porch up in upstate New York to listen for birds back in the middle of May. I had already been keeping track of 3 different Robin pairs and other neighborhood birds when Emma joined me. As she sat down, I heard a catbird alarm call across the street, brought her attention to it and suggested we keep an eye in that direction. Just then the neighbor’s cat strolled out from the thicket. Emma recognized the cat immediately and called it by name. Now she knew that the neighborhood birds also knew this cat. In that short 30-45 minutes Emma was able to establish the approximate boundaries of the nesting territory of a pair of robins that appeared to be nesting in the yard. I asked her to keep track of the different calls of the Robins and then asked her if she could tell the difference between the different Robins in the neighborhood. Could she be certain that her pair were always the same? Could she tell the male from the female? She was pretty sure she could but couldn’t tell me why except that they behaved differently. 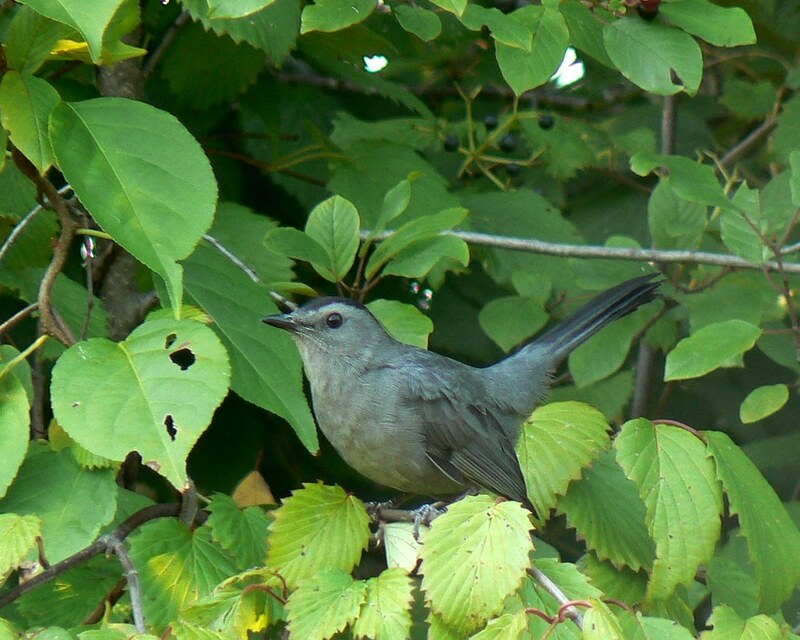 Just then the female, who had been feeding next to the male, took flight and appeared to fly to a tree around the corner–a crab apple. I told Emma that, in my experience, crab apples are often chosen for Robin nest trees. She then ran into the house, went to a second story window where she could look down into the tree. That was quickly followed by a “I’ve found it. Grandpa. The nest is in the top of the tree and she is on it.” Powerful stuff for a young naturalist. At this point one of her classmates who lives across the street asked if she could come over and play on the sack swing. She went over to play while I kept on watching. After about 15 minutes, a Blue Jay got a little too close, landing near the nest tree. Both Robins, immediately, attacked the jay who went over, across the street where the kids were playing. Emma, who I thought was more attentive to the play immediately came back over to make sure I’d seen all the action and wanted to know why the Robins were so agressive to the Jay. After talking a bit about nest predation by Jays, I had some time to think just how deeply this little exercise had already benefited my grand daughter’s skills. Learning bird language really opens new vistas to understanding the natural world. Get a copy of Young’s book and share the ideas with your own students. I’m sure that many of you can come up with all kinds of activities for students to do where this approach will be very valuable.